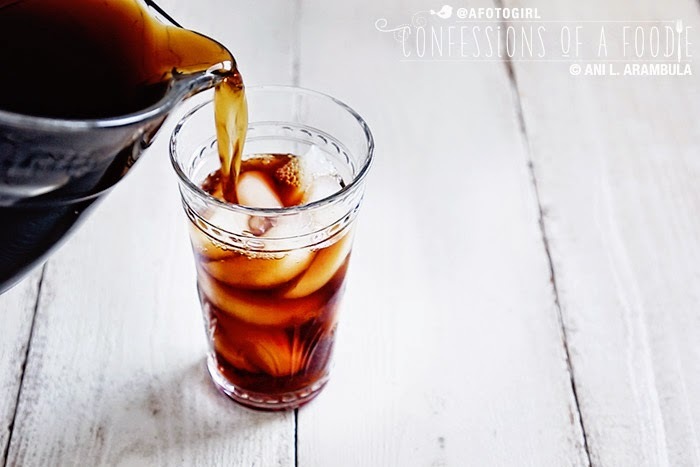 This cold brew coffee recipe makes the perfect summertime drink. It's mellower than hot brewed and because it's a concentrate, when used for iced coffee, the melting ice doesn't make it taste watered down. Whenever I'm out and about with my furbaby, people often stop to comment on how pretty she is. They ask what her name is and I say, "Starbuck." "No," I say, "not Starbucks. Starbuck. She's not named for the coffee chain but rather for fighter pilot Captain Kara Thrace, the lead female character on the re-imagined sci-fi show, 'Battlestar Galactica.' Her call sign is "Starbuck." BSG is on my list of top 10 TV shows ever. "Ah!" Followed by nervous laughter. The funny thing is that these complete strangers assume exactly what most of my friends assumed when I first introduced them to my little American cocker spaniel. Why? Because everyone who knows me personally knows how much of a coffee fanatic I am. I have personally burned out four espresso machines before finally plucking down nearly $700 for a good one about 7 years ago now. I've lost count of how many regular drip machines I've gone through since college. I currently own not one but three French presses (single serve, 4 cup and 8 cup) and two moka pots (9 cup and 3 cup). I've recently contemplated investing in a pour over cone as well. Why? All in search of the elusive perfect cup of coffee. So, yeah, I like coffee. 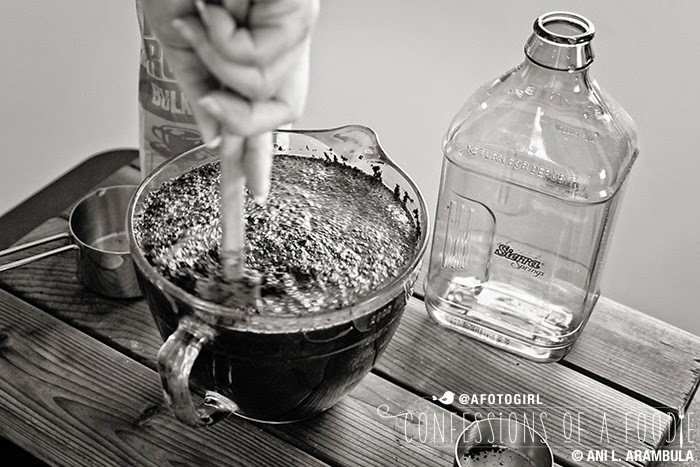 A couple of years ago, I saw a post on Pioneer Woman about homemade cold brew coffee. I was intrigued. And I finally got around to making it. And you know what? I'm totally digging it. It's strong because you're making a coffee concentrate. Yes! 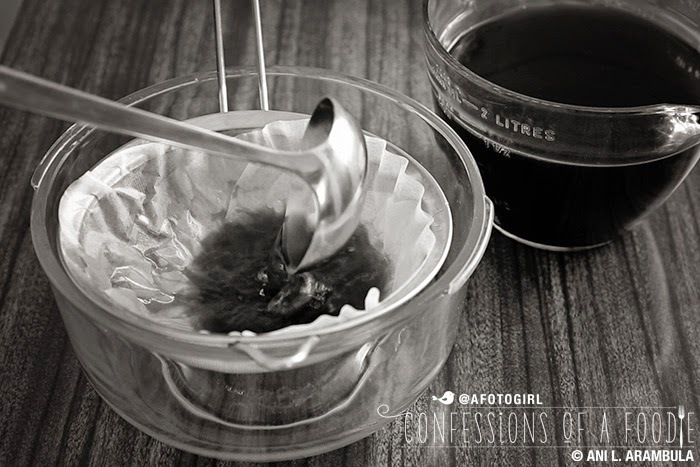 A coffee concentrate! But it's also super smooth because no hot water touches the beans which means no acidity is released into the coffee. Want a hot cuppa joe? Heat two parts water and then add it to one part concentrate. 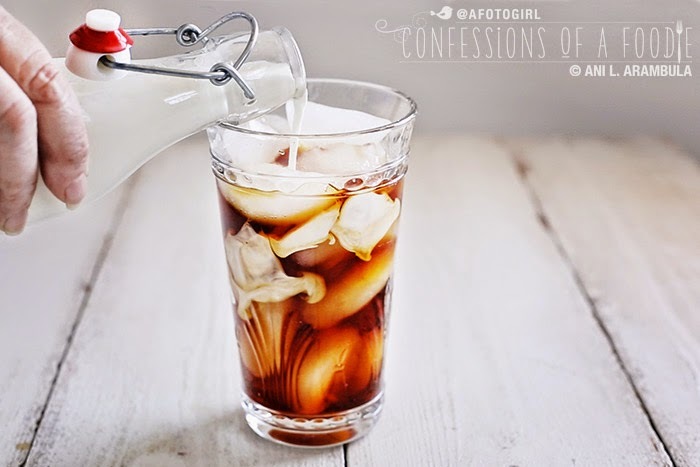 Want iced coffee to rival Starbucks? Don't add any water. Instead fill your glass with ice, then coffee, then cream, and if you're me, plenty of sugar or honey. 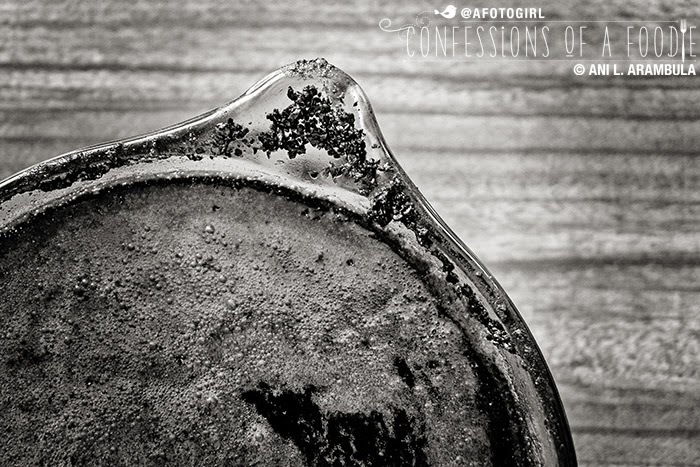 As the ice melts, you won't be left with weak, watered down coffee because you started with a concentrate. It's perfect for summer when you want your caffeine fix but don't want a hot beverage. Personally, I'm jonesing for one right now. We're in the middle of 90 degree weather in San Diego and this stuff makes the heat just that much more bearable. You need to make this. This weekend. Concentrate in the fridge will last two weeks in a tightly covered jar (Mason jars work great for this) which means you'll have some to start your work day on Monday. Yup. Sounds like a plan. Some folks advocate using a mild, light coffee bean. I found it to produce flat, one note cold brew. I much prefer using a darker roast and have opted for Italian, French and Espresso. Start with your favorite and use it as a guide to find your prefect choice. 1. Add coffee to a large 2 quart container. 2. Slowly pour in the filtered water. 3. 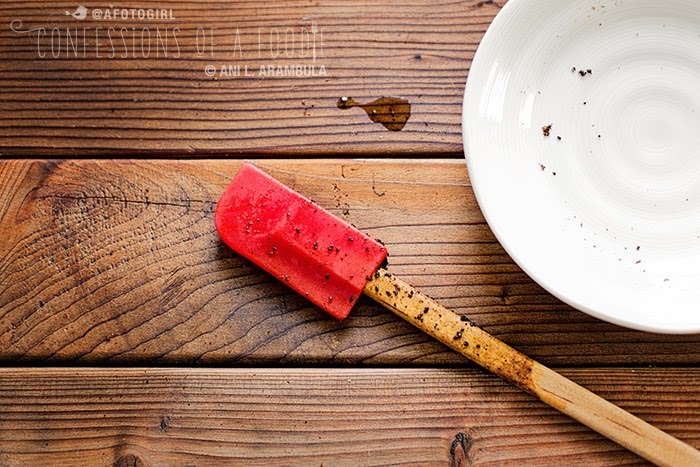 Stir with a rubber spatula or wooden spoon (a metal utensil will leave a metallic taste) to ensure all the grounds are wet. This will be the only time you stir. Stirring more later can make the coffee bitter. 4. 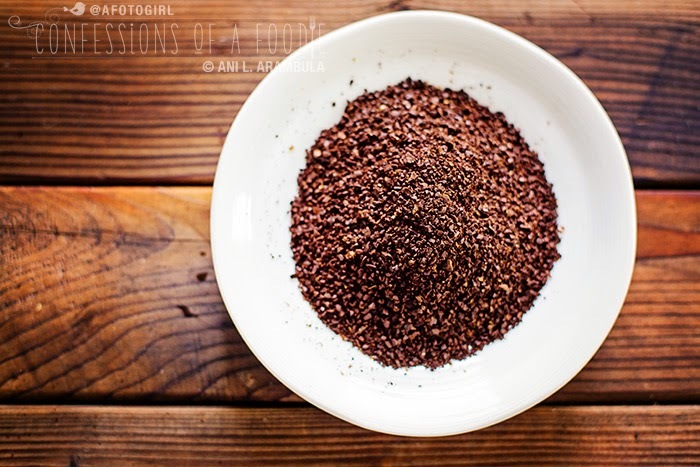 Cover container with a lid or with cheesecloth and allow to steep on the counter for at least 10 hours. Alternately, cover and refrigerate for up 22 hours to steep. 5. 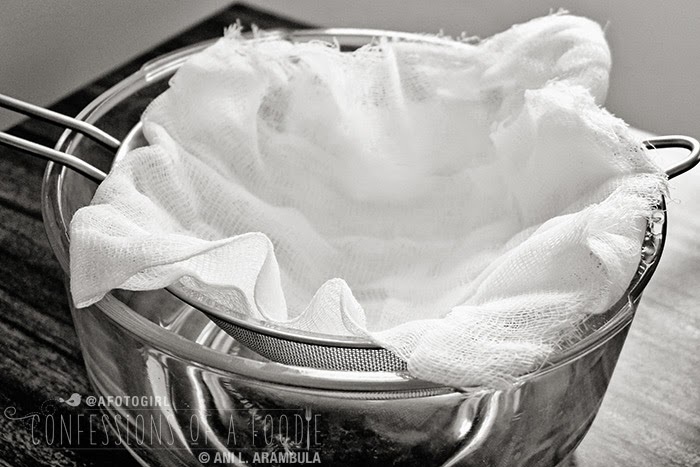 Line a fine mesh strainer with 2 or three layers of cheesecloth. Set it over a large container with at least a 2 quart capacity. Slowly pour in the steeped coffee and allow to drain completely. 6. 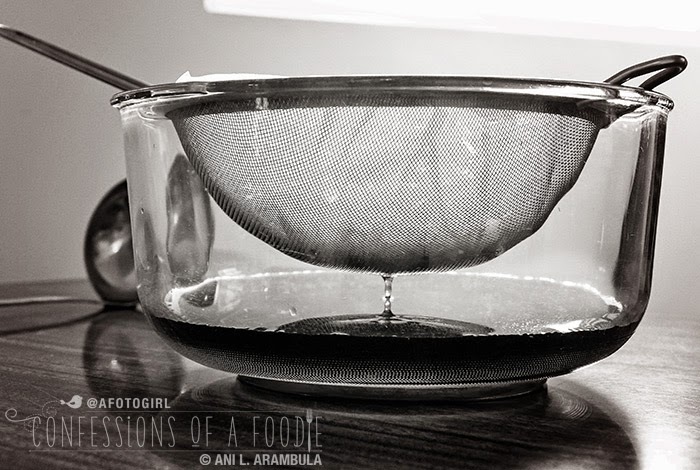 Line the strainer with coffee filters to cover the entire strainer. Rinse the original container out well to remove any grounds and place the strainer over the container. 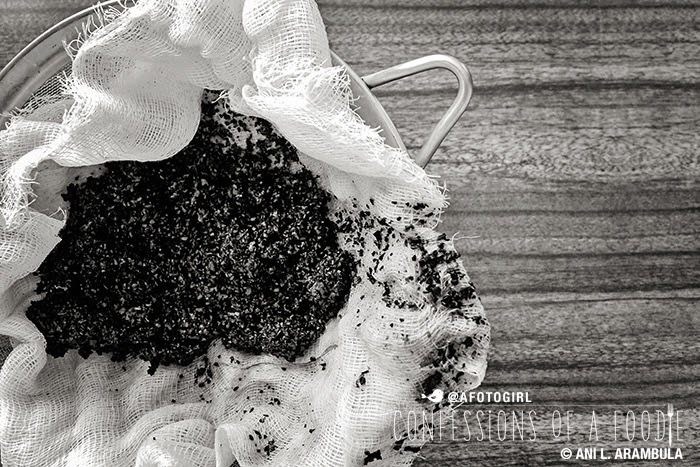 Pour the strained coffee slowly into the strainer to remove any remaining grit in the coffee. This might take a few minutes. 7. 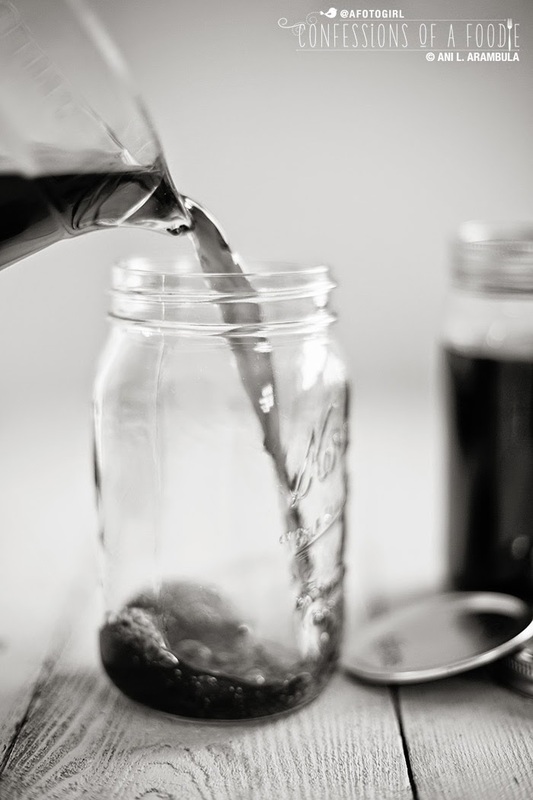 Pour coffee into mason jar(s) and, for best results, refrigerate at least two hours before serving. 8. To serve hot, add 2 parts very hot water to 1 part concentrate. Add sugar and cream as desired. 9. 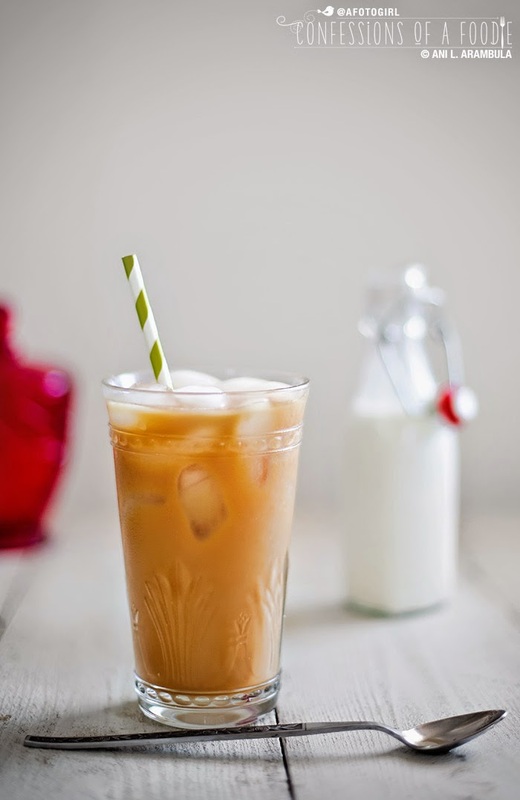 For iced coffee, fill a large glass with ice, pour in coffee concentrate, add half and half or cream and sweeten to taste. Or, try it with sweetened condensed milk for a real treat! Until next time, drink lots of liquids and stay cool! The Starbuck(s) story had me laughing! Your pup is adorable though. I haven't had coffee in ages but when I did it was definitely cold brew coffee...THE BEST. Mytaste is a dual-function site, a recipe search engine and an online social networking service providing thousands of recipes collected and shared by people around the globe from different blogs and website. We deliver thousands of visitors; some of the top food blogs receive at least 30,000 visits weekly. EXPOSE YOUR BLOG!!! This won’t cost any cents.